Chateau / Country House484 sq. ft.
A SCIACCA, one of the most important spa resorts in Sicily, rent a brand new one bedroom apartment of about 45 square meters. - lots of space outside where they can also roast. Brand new furniture, meticulous attention to detail and complete with all the necessary equipment. Distance from the center about 7 km. within the same property we have another three-room apartment. Maison impeccable, tranquille au milieu des oliviers et facile d'accès. Cela fait 2 ans de suite que nous y passons des vacances inoubliables. Un endroit magique oui. Allez- y sans hésiter. Giovanna et Giovanni sont des hôtes exceptionnels, très ouverts et tellement gentils et humains. Posto splendido, tra gli ulivi a 15 minuti da Sciacca, tranquillissimo posto tra gli ulivi. E' già la seconda volta che torniamo in questa bella casa. e .....non sarà l'ultima! orto con verdure fresche a disposizione. Sciacca a 10 minuti di auto. Città stupenda. Prezzo della vita molto conveniente. padroni di casa che non ti lasciano mancare niente compreso un assaggio dell'olio da loro prodotto e delle conserve sempre home made. 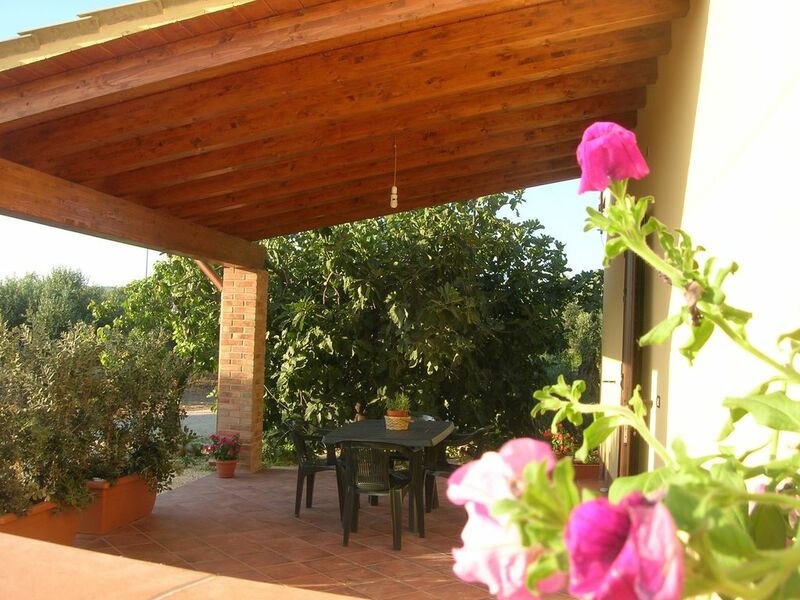 The house is located within our farm, in Scunchipane district, a quiet but not isolated countryside area. in the vicinity there are several houses inhabited both in winter and in summer. At about 2 km there is the SS 115 from which you can easily reach most of Western Sicily. The connecting road is excellent, all paved.